Pause. There is Good News! FORGIVENESS came to redeem and heal us…. LOVE In the Flesh became accessible…. And He lives in us today! Hallelujah!!! 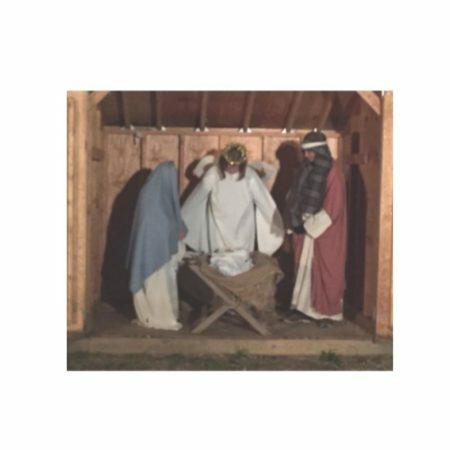 Be a part of the Live Nativity at West Grove UMC in the field adjacent to our building. Join us for a time of quiet reflection. Invite a neighbor. Bring children to experience the moment with live sheep, Shepherds, Wise Men, Mary, Joseph, and Baby Jesus. Share TRUE joy, peace, forgiveness and love with friends and neighbors. Warm up with baked goodies, hot chocolate, and fellowship in the church lobby. Sign up in the lobby to be an actor or to bake cookies. Actors serve for 30 minute intervals. Costumes provided!